For more than 25 years, RPE Motors in Whittier, CA has been in the business of making our Southern California customers (including Los Angeles County, San Gabriel Valley and Orange County) comfortable with their purchases. We select great cars and motorcycles that we would be proud to drive ourselves and offer them at competitive used car and motorcycle prices. Each used vehicle is thoroughly inspected and certified to meet our strict standards of excellence. In addition to low used car and motorcycle prices, our professional staff is trained in a low-pressure sales process that puts our customers' needs first. We specialize in Honda, Kawasaki, Suzuki, Yamaha, BMW, Triumph and Ducati in the motorcycle sector of our company. We maintain a reputation of automobile excellence that is represented by out high-end inventory including Audi, Lexus, Infinity, BMW, and Mercedes Benz. We offer reasonably priced extended warranties for all of our used vehicles, and our low mileage used cars are typically still under the original factory warranty. 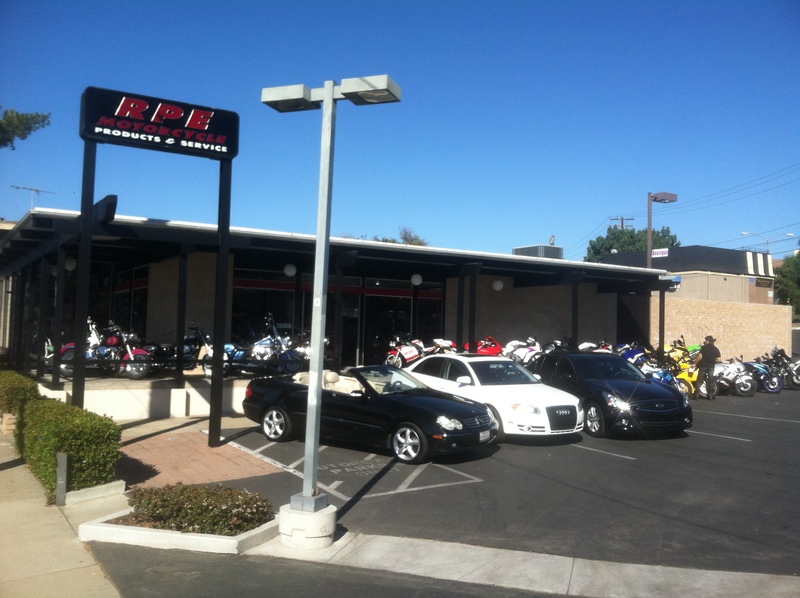 Family owned and operated since 1986, RPE Motors and RPE Motorcycle are the best places to find a great deal on your next vehicle purchase.